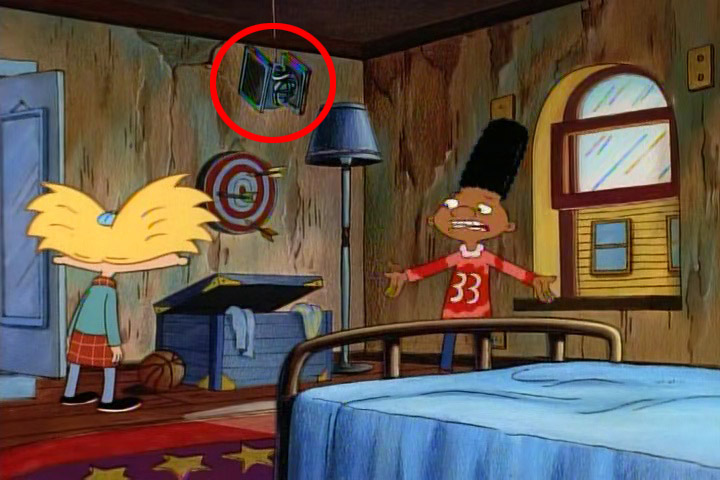 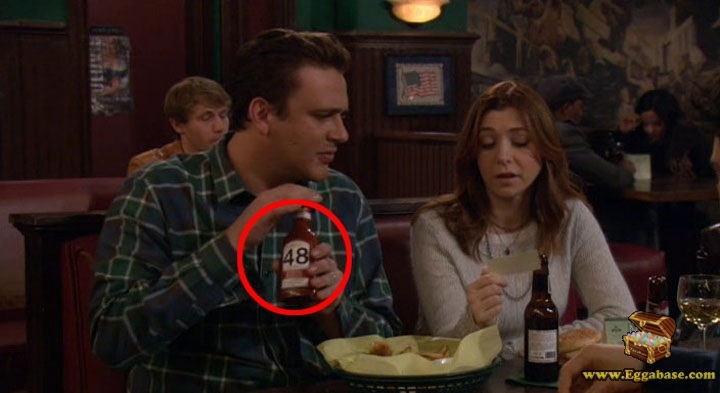 This easter egg appears in Season 2, episode 5 titled, Commuted Sentence. 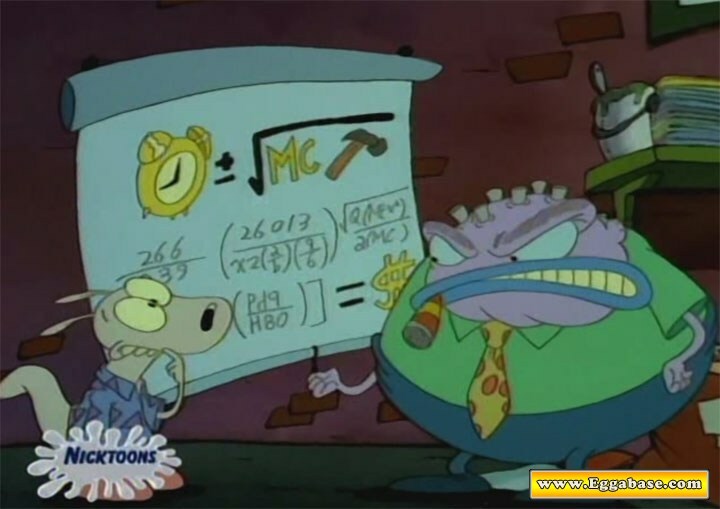 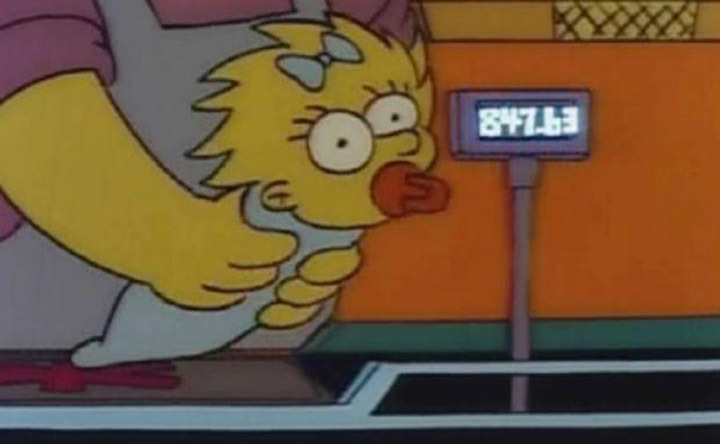 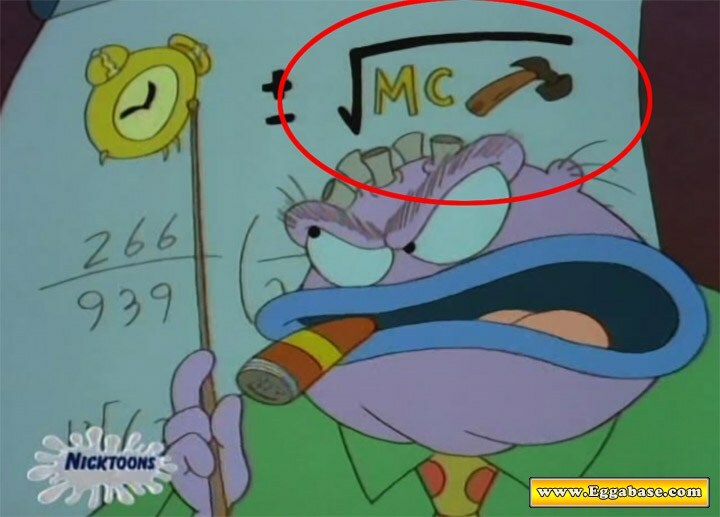 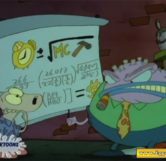 In Season 2, episode 5, the episode where Rocko is constantly late for work, he has a meeting with his boss at one point and his boss pulls down a graph to educate Rocko on the equation of Time = Money in an attempt to show him how important it is to be on time to work. 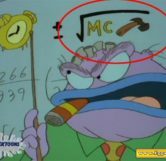 On the graph there is a large equation that eventually gets to the point, but at the top of it you can see the term, Clock = MC and then the picture of a Hammer. 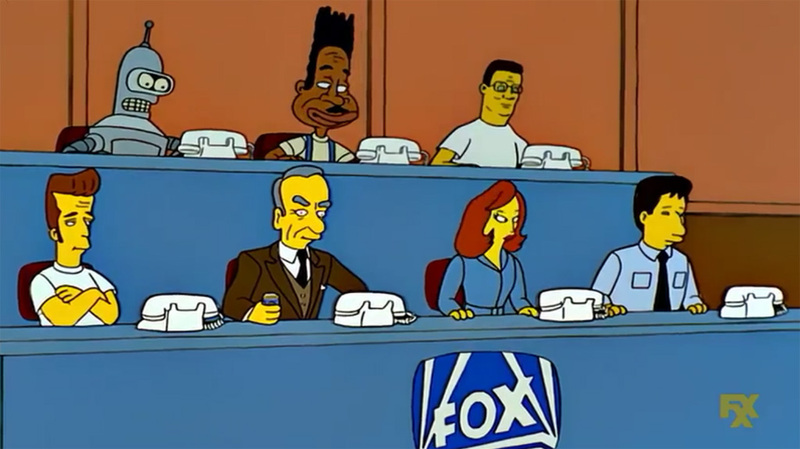 This is a reference to the lyrics of famous 90’s song, “Can’t Touch This” wherein the unnecessarily baggy pantsed MC Hammer raps, “Stop. 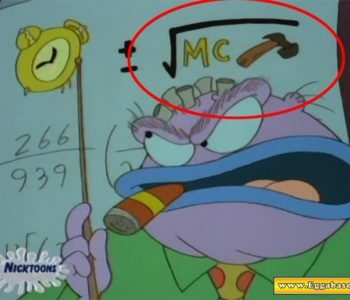 Hammer Time”.